I’m very thrilled and honoured to be one of the panel members at Mumsnet Blogfest. I’ll be on the panel talking about better story-telling, along with Sarah Crown, A L Kennedy and Lionel Shriver. Or, as I am persistently hearing it in my head, I’ll be on the panel talking about better story-telling, along with SARAH CROWN, A L KENNEDY and LIONEL SHRIVER. Mumsnet Blogfest takes place on 9th November in King’s Place, near Kings Cross, London, and the speaker line-up is absolutely stellar. It’s going to be a sell-out (not because of me, obviously, but it definitely will) – so get your ticket quick before they all go. 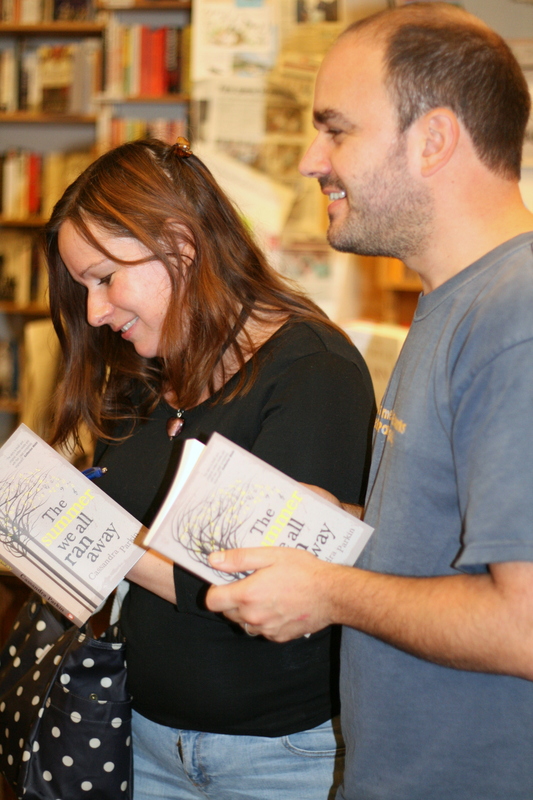 …is that “The Summer We All Ran Away” has been picked for the 2013 Amazon Rising Stars programme. 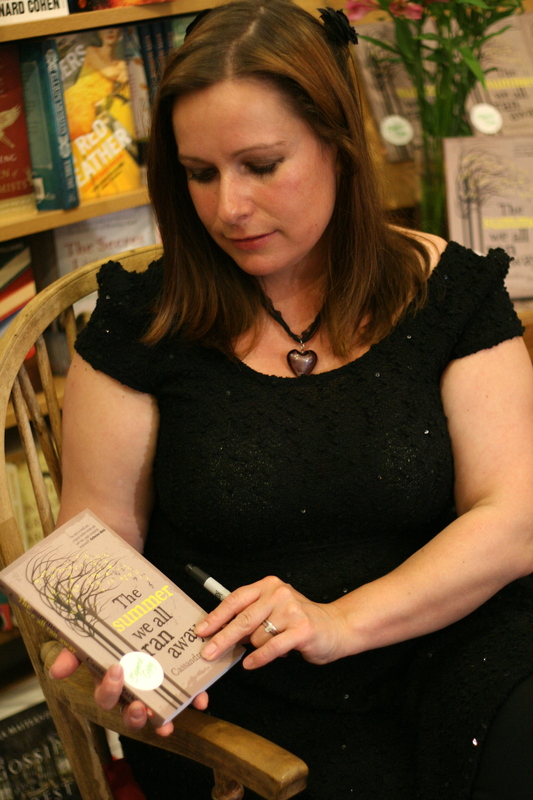 Previous authors include Erin Morgenstern for “The Night Circus”, SJ Watson for “Before I Go To Sleep” and Elizabeth Haynes for “Into The Darkest Corner” – all of which I own, and love, and am now feeling slightly starstruck about. 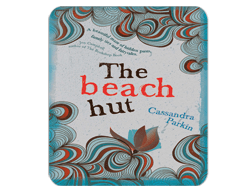 The final winner is chosen partly on the basis of customer reviews – so if you have read “The Summer We All Ran Away”, a review on Amazon would be simply fab! 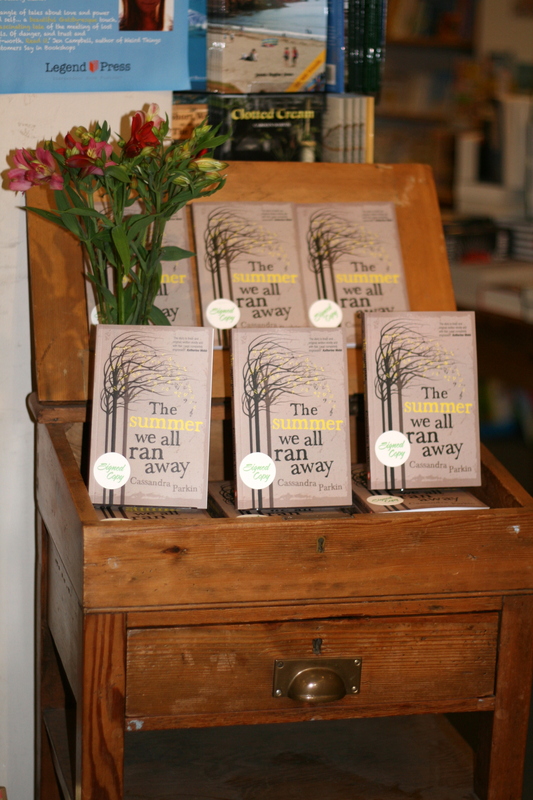 “The Summer We All Ran Away” is available from Amazon, in Kindle and Paperback editions. There just couldn’t be a nicer way to see your books displayed. Thank you! 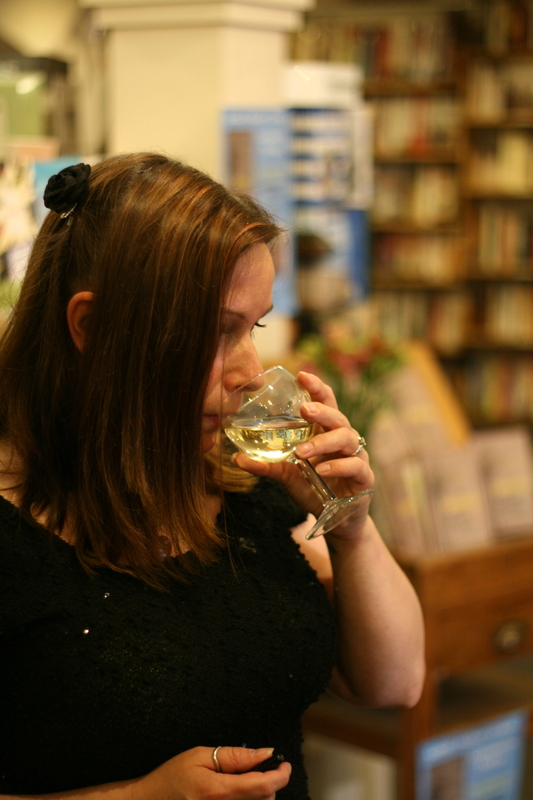 And here’s me with my nose in a glass of wine. Ahem. 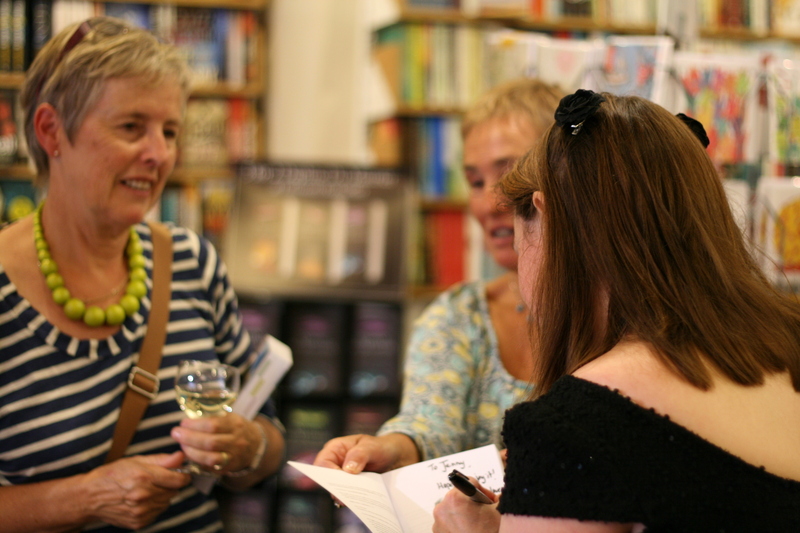 Thank you again to the Falmouth Bookseller for hosting the evening and for making it such a success. 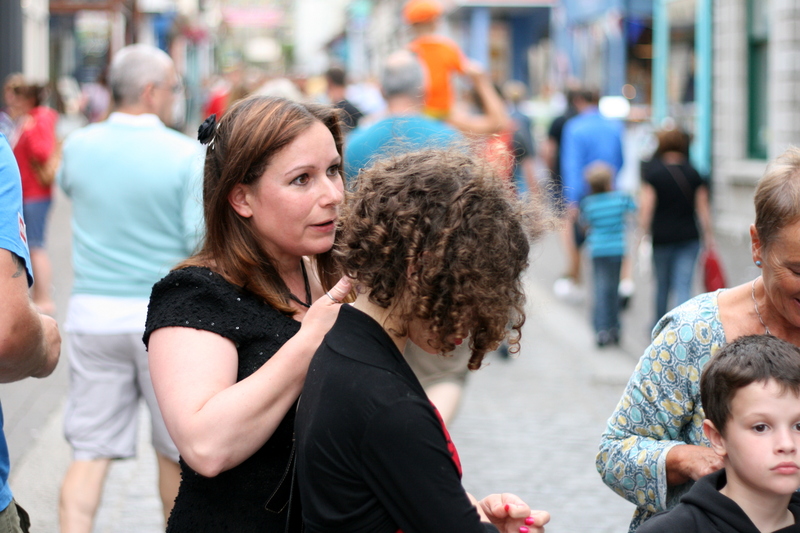 And thank you to my lovely husband, who isn’t in any of the photos because he was taking all of the photos, including papping me in the street and making people think I might be some sort of celebrity. 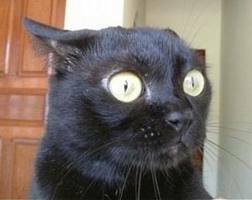 That was brilliant. 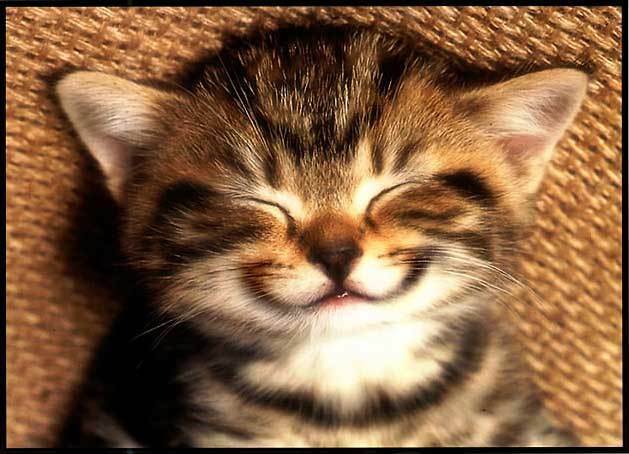 As are you. 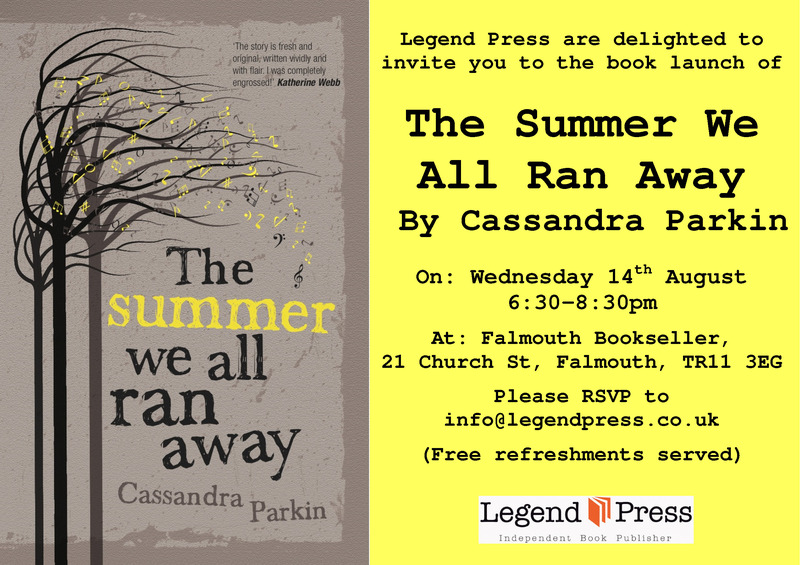 The Falmouth launch party for “The Summer We All Ran Away” will be at the Falmouth Bookseller on 14th August, 6.30pm to 8.30pm. If you’re in the area, please do come along – it would be lovely to see you! 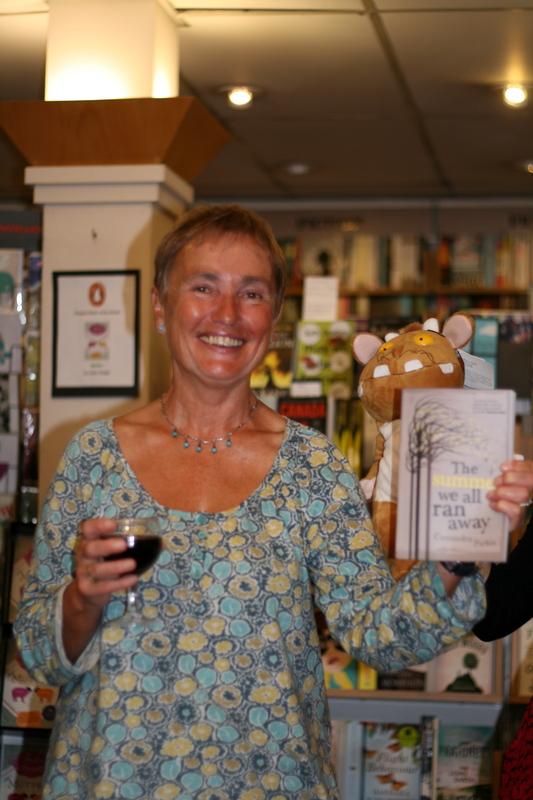 The Summer We All Ran Away is available from Amazon in Paperback and Kindle editions, and from all good bookshops – including my kind hosts, the wonderful Falmouth Bookseller.